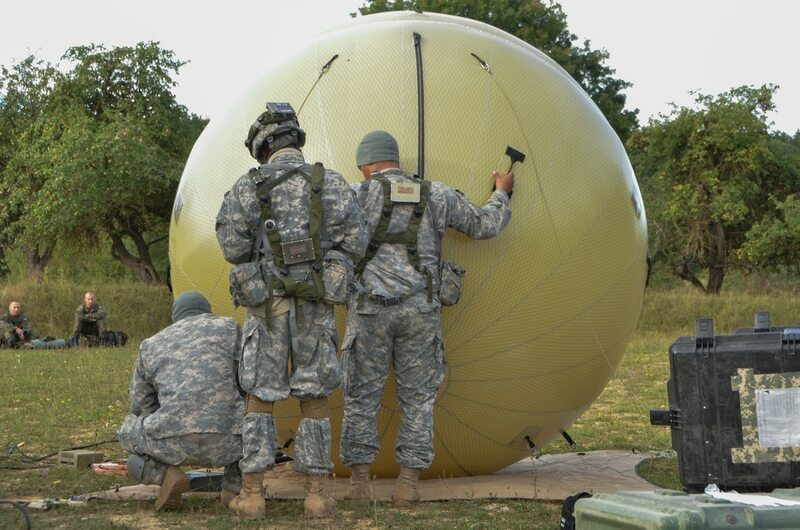 HUNTSVILLE, Ala. — An Alabama company has a five-year, $522 million extension to an Army contract for inflatable satellite antenna systems. GATR Technologies Inc. of Huntsville first won the contract in 2013. It said in early 2014 that the contract made the antennas more broadly available to the armed services, which already were using them in special operations units. GATR’s ground-mounted antennas look like giant beach balls with tie-downs to point them in the right direction. The antenna inside is reflective fabric. Fans keep the air pressure in the top half slightly higher than in the bottom half, pushing the fabric down into the right shape. The extension brings the contract’s total maximum value to more than $960 million. It was announced Friday in the Pentagon’s daily list of military contracts.